Why would I need self storage in Berkeley, CA? There are a variety of reasons why you might need self-storage in Berkeley, CA. How much is a storage unit in Berkeley, CA? The cheapest storage unit in Berkeley, CA is $66.00 per month. What size storage units do you have available in Berkeley, CA? In Berkeley, CA we have sizes that range from 5'x4' to 10'x40' to suit your storage needs. How much is it for a 5'x4' storage unit in Berkeley, CA? The cheapest 5'x4' storage unit in Berkeley, CA is $101.00 per month. Berkeley is located on San Francisco Bay and borders the larger cities of Oakland and Emeryville. 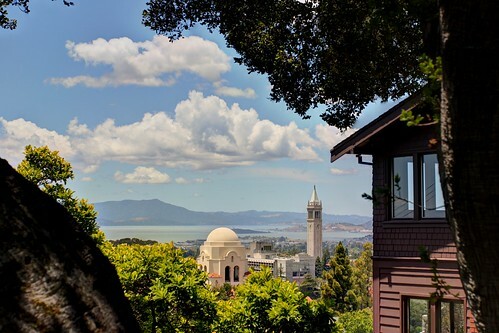 Berkeley has earned recognition as the home of the renowned University of California, Berkeley, the oldest campus in the University of California system. You'll enjoy a number of amenities in the city, including beautiful views, great entertainment options and a tight-knit community. Originally developed as a tourist destination, the land that's now Berkeley was given to investors in 1820. It wasn't until 1853 that the area was settled, with the name Ocean View. By the late 1860s, the well-known University of California campus had developed. With the arrival of the railroad, the city continued to grow. Its name changed in 1878 when it was officially incorporated as Berkeley. The city has been through a number of historic events, including being one of the first cities to see peace protests in the 1960s. Berkeley is recognized as very environmentally-friendly, and it has a number of public parks and green spaces. Berkeley leads the nation with its urban re-tree-planting efforts as well as its work restoring local creeks and wetlands. It's also home to a vibrant arts and culture scene and host to a number of community events celebrating the city's diverse population. You can visit the world's largest Chilean-American community center, the La Peña Cultural Center, or attend a show at the Berkeley Repertory Theater. The Berkeley Art Museum and Pacific Film Archive is a historic establishment managed by UC Berkeley, and it provides community outreach programs and screens of classic films. Berkeley Unified School District manages the public schools in the city, ranging from elementary to high schools. You can also enroll your child in one of the city's private or charter schools, like the Bay Area Technology School. If you're looking for higher education options, the city is home to the University of California, Berkeley, as well as Zaytuna College, the Graduate Theological Union and a few other small schools. Utilities: Pacific Gas & Electric is Berkeley's main energy supplier. The East Bay Municipal Utility District facilitates water service in the city. Transportation: Public transit options in and around the city include Bay Area Rapid Transit (BART), a ferry and a number of bus routes. Pets: All dogs over the age of six months must be licensed and have up-to-date rabies vaccinations. The median home value in Berkeley is significantly higher than the state average, and property taxes are also very expensive. You can expect to pay far more to live in Berkeley than in many other U.S. cities. However, the city offers a wide range of housing types, so you can explore options to find something that fits your budget. Our lowest priced units in Berkeley, CA average $91.60 per month. 237 people have reserved units in Berkeley, CA in the past 30 days. There are 5 locations within Berkeley, CA's city limits. There are 2 locations in Berkeley, CA that offer AC and Heating features.